Genuine Asian Spitting Rat Snakeskin with Head. Each hide has similar pattern and color but not exact. Price is for one skin. Color: Natural. The rest of countries, it could take 5-6 weeks. Thickness : 0,8 mm 90 cm x 62 cm ( 36" x 25"). 100% Genuine Ostrich Finished Leather with the highest finishing quality. Pictures are real. ● Size: 34cm wide at widest point. Genuine Crocodile Skin Belly. ● Thickness: 1.6cm (4 Oz) in the middle of the skin. ● Color: black. Genuine Crocodile Skin Belly. Size: 50cm wide at the widest point. Thickness: 1.4cm in the middle of the skin. Color: black. In good condition,no hole. Photos updated. What you see is what you get ! ● Size: 45cm wide at widest point. Genuine Crocodile Skin Backhorn. ● Thickness: 1.6cm (4 Oz) in the middle of the skin. ● Color: black. What you see is what you get ! Total length is 5". The fringe is 4 1/2" and 1/2" top border. It is deer tanned leather. Sold in 1 foot lengths up to a solid piece of 36" is what I can make. Each hide has similar pattern and color but not exact. Grade A: 98% - 100% of skin, it might has pinhole(s) but is invisible with your backing material. Price is for one skin. Color: Black. Finish: Glossy. Genuine Crocodile Skins. Price is for a pair of skins. These two skins are good for a pair of shoes/boots making. ● Thickness: 1.4cm in the middle of the skin. ● Color: black. The rest of countries, it could take 5-6 weeks. 18" X 24" ( 45cm x 61cm ). But we are well known in these areas. We carry the finest lambskin leather. These size are cut from the hide. Headliner Leather and Handbags Co was founded in 1978 in the New Jersey. 1 pcs ( different shape due to each rabbit is different in size). Material : 100% real rabit fur. Size: 25-30cm 30-40cm(9.8"-11.8") (11.8"-15.7"）, but they will vary in size slightly. ). 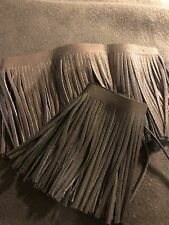 Genuine Crocodile Skins. Price is for a pair of skins. There two skins are good for a pair of shoes/boots making. ● Thickness: 1.4cm in the middle of the skin. ● Color: black. The rest of countries, it could take 5-6 weeks. 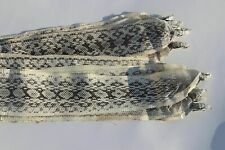 Genuine eel skin strap. Each hide has similar shade and pattern but not exact. Bcs off acid washed. soft and high quality. backside suede finished. not usable. 280-300 GRAMS WITHOUT BUBBLE BAG. 0.8 mm thickness. 6" X 18" ( 15cm x 45cm ). But we are well known in these areas. We carry the finest lambskin leather. These size are cut from the hide. Headliner Leather and Handbags Co was founded in 1978 in the New Jersey. LASER CUT ENGRAVE BLACK&BROWN HAIR ON MINIATURE GOAT SKIN LEATHER. colors : 1 pc black 1 pc brown. brown 3,1 sf. black 3,2 sf. 12" X 12" ( 30cm x 30cm ). But we are well known in these areas. We carry the finest lambskin leather. These size are cut from the hide. Headliner Leather and Handbags Co was founded in 1978 in the New Jersey. 24" X 24" ( 61cm x 61cm ). But we are well known in these areas. We carry the finest lambskin leather. These size are cut from the hide. Headliner Leather and Handbags Co was founded in 1978 in the New Jersey. 18" X 32" ( 45cm x 81cm ). But we are well known in these areas. We carry the finest lambskin leather. These size are cut from the hide. Headliner Leather and Handbags Co was founded in 1978 in the New Jersey. 24" X 32" ( 61cm x 81cm ). But we are well known in these areas. We carry the finest lambskin leather. These size are cut from the hide. Headliner Leather and Handbags Co was founded in 1978 in the New Jersey. 100% Genuine Ostrich Leg Finished Leather with the highest finishing quality. Pictures are real. 12" X 18" ( 30cm x 45cm ). But we are well known in these areas. We carry the finest lambskin leather. These size are cut from the hide. 12"x12", 12"x24", 18"x18", 24"x24", 6"x12", 6"x6", 12"x18". Headliner Leather and Handbags Co was founded in 1978 in the New Jersey. 18" X 18" ( 45cm x 45cm ). But we are well known in these areas. We carry the finest lambskin leather. These size are cut from the hide. Headliner Leather and Handbags Co was founded in 1978 in the New Jersey. 6" X 24" ( 15cm x 60cm ). But we are well known in these areas. We carry the finest lambskin leather. These size are cut from the hide. Headliner Leather and Handbags Co was founded in 1978 in the New Jersey. 12" X 32" ( 30cm x 81cm ). But we are well known in these areas. We carry the finest lambskin leather. These size are cut from the hide. Headliner Leather and Handbags Co was founded in 1978 in the New Jersey. It was nearly paralyzed but gaped its mouth when touched on the head with a snake hook. The body didn’t move. There was one visible bite mark on the side of the body and nothing else. I’m guessing King Cobra. 16" X 16" ( 40cm x 40cm ). But we are well known in these areas. We carry the finest lambskin leather. These size are cut from the hide. Headliner Leather and Handbags Co was founded in 1978 in the New Jersey. This is the rest of it. 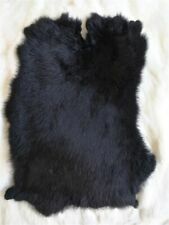 Extra nice Alligator design designer cowhide side (black). 20SF. 3 to 4 oz. This cowhide side has an alligator design to it. You are purchasing an extra nice designer cowhide side. Non-tooling leather. This is a finished side. About 20 ft.² and 3 to 4 ounce thickness. 6" X 12" ( 15cm x 30cm ). But we are well known in these areas. We carry the finest lambskin leather. These size are cut from the hide. Headliner Leather and Handbags Co was founded in 1978 in the New Jersey.